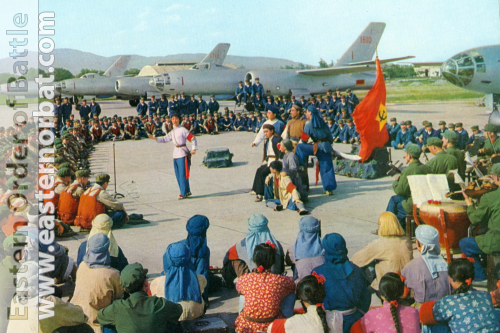 In the early 1950s the PLAAF started taking delivery of the Ilyushin IL-28 front bomber (NATO reporting name Beagle). The aircraft, which first flew in July 1948, featured a rather curious combination of shoulder-mounted unswept wings and swept conventional tail surfaces; it was powered by two 2,700-kgp (5,950-lbst) Klimov VK-1 centrifugal-flow turbojets in area-ruled nacelles which adhered directly to the wing undersurface and accommodated the main gear units as well. The bomber had a crew of three - a pilot seated in a fighter-type cockpit, a navigator/bomb-aimer in the extensively glazed nose and a gunner operating the hydraulically powered twin-cannon tail barbette. 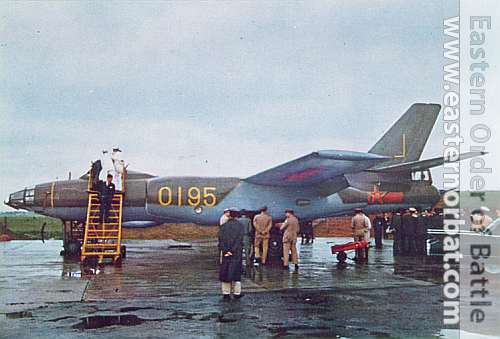 The IL-28 became the PLAAF's first modern bomber and a valuable asset, seeing action during the First Taiwan Crisis of 1954-55. A repair facility for the type was set up in Harbin but no manufacturing licence for the type was obtained. Hence after the rift in Sino-Soviet relations China decided to build the 11-28 without the benefit of a licence. 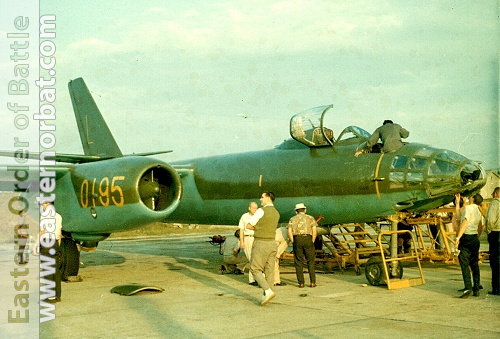 Production of the IL-28, which received the local designation H-5 (Hongzhaji - bomber), was logically assigned to the Harbin aircraft factory. Due to the exigencies of the 'Cultural Revolution' the preparations did not begin until 1963. To be perfectly honest, the Chinese did not adopt a simple copycat approach and altered the design considerably, changing 40% of the structure and systems. In particular, the wing panels and tail surfaces of the original Soviet bomber had a manufacturing break along the chord line. 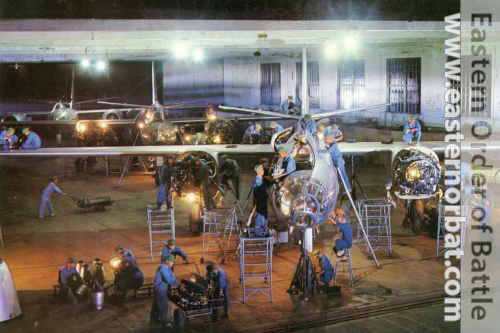 Each half of the subassembly consisted of several skin panels incorporating stringers and ribs; this allowed different panels to be manufactured simultaneously at different workstations while improving working conditions. In contrast, the Chinese dispensed with this manufacturing break and used a conventional wing design on the H-5; this saved some 110 kg (242 Ib) of weight, albeit the manufacturing process became more difficult. Changes were made to the armament the original lL-K6 spherical tail turret with two Nudelman/Richter NR-23 cannons was replaced by a DK-7 turret of basically cylindrical shape mounting two Afanasyev/Makarov AM-23 cannons; the new installation brought about some changes to the fuselage structure. The new turret was borrowed from the Tupolev Tu-16 medium bomber (built in China as the H-6, which see) for the sake of commonality. The AM-23 had the same 23-mm calibre but a much higher rate of fire (1,300 versus 850 rounds per minute) and the ammunition supply was more than doubled – from 225 to 500 rpg. Additionally, the Chinese version had a different bomb-aiming radar with greater operational range, a different bomb sight with a wider field of view, and a different identification friend-or-foe system. The different tail turret was the main external identification feature of the H-5. Also, the cockpit canopy had a one-piece blown transparency (without a lengthwise frame member), a taxi light was added to the forward door of the nose wheel well and the starboard forward-firing cannon was deleted. Manufacturing of jigs and tooling started in 1964. The first two airframes - the flying prototype and a static test airframe – were completed in 1966 and the H-5 prototype took to the air on 25th September 1966, flown by pilot Wang Wenying, navigator Zhang Huichang and radio operator Zeng Fannan. Full-scale production at Harbin commenced in April 1967. The VK-1 engines for the bomber were manufactured by the Shenyang Engine Factory (SEF) as the WP-5A. A tactical nuclear strike version similar to the Soviet IL-28 was developed in September 1967 for both test and operational applications. No confirmed designation is known, although some sources attribute the designation H-5A to this version. The development effort was led by Xia Zhenhua; the first test drop of a nuclear bomb from such an aircraft took place on 27th December 1968. The Chinese also developed a photo reconnaissance version of the H-5 equivalent to the IL-28R. Brought out in 1970, it bore the designation HZ-5 (Hongzhaji Zhenchaji bomber/reconnaissance aircraft) for the 'home market' or B-5R for export. The aircraft was equipped with two cameras for day/night highaltitude photography. Unlike the Soviet recce version, the HZ-5 had underwing drop tanks instead of tip tanks; these extended range by 47%, the combat radius by 50% and endurance by 1 hour 23 minutes. 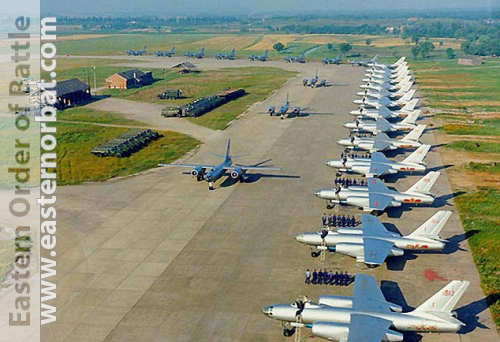 Development of the PHOTINT version was rather protracted and the aircraft was not officially included into the PLAAF inventory until 1977. The IL-28 had a conversion trainer variant called IL-28U (NATO reporting name Mascot), which differed from the basic bomber primarily in having a new nose grafted on in place of the navigator's station (up to fuselage frame No.6). It incorporated an instructor's cockpit with a stepped windscreen, rather like the flight deck of an airliner en miniature; the trainee pilot sat in the standard cockpit. All armament and bomb aiming equipment, including the radar, were deleted; to maintain the CG position the tail turret was substituted by ballast. Still, the IL-28U could be used for training gunners/radio operators, for which the former gunner's station was suitably equipped. Since the late sixties, China has begun producing its own type of strike. 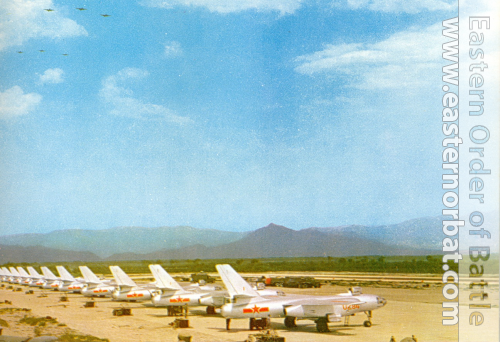 The Soviet-made IL-28-ers were supplemented with Nanchang Q-5s and Harbin H-5s in the seventies. On November 11, 1965, Li Xianbin (李显斌), a PLAAF captain of Ilyushin Il-28 of the 8th division flew his bomber numbered 0195 from Jianqiao (笕桥) air base in Hangzhou to Chiang Kai-shek International Airport, and this was the first fully operational Il-28 in western hands. The radio operator / tail gunner Lian Baosheng (廉保生) was found dead at the scene and the navigator Li Caiwang (李才旺) was captured alive after a failed suicide attempt. Both survivors were honored and rewarded positions in the Republic of China Air Force. Li Xianbin was rewarded 2,000 taels (approximately 100 kg) of gold, while Li Caiwang was rewarded 1,000 taels (approximately 50 kg) of gold. Since Lian Baosheng was dead, his reward of 1,000 taels (approximately 50 kg) of gold was divided evenly among Li Xianbin and Li Caiwang.